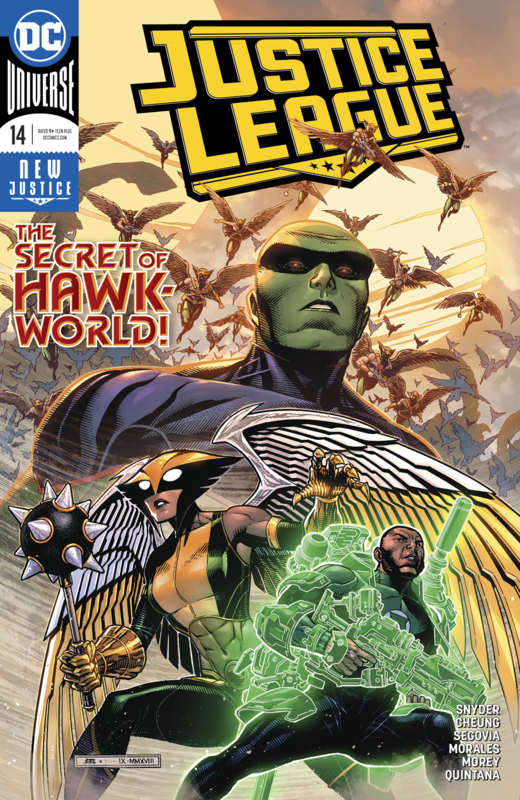 DC Comics Universe and Justice League #13 Spoilers and Review follows. 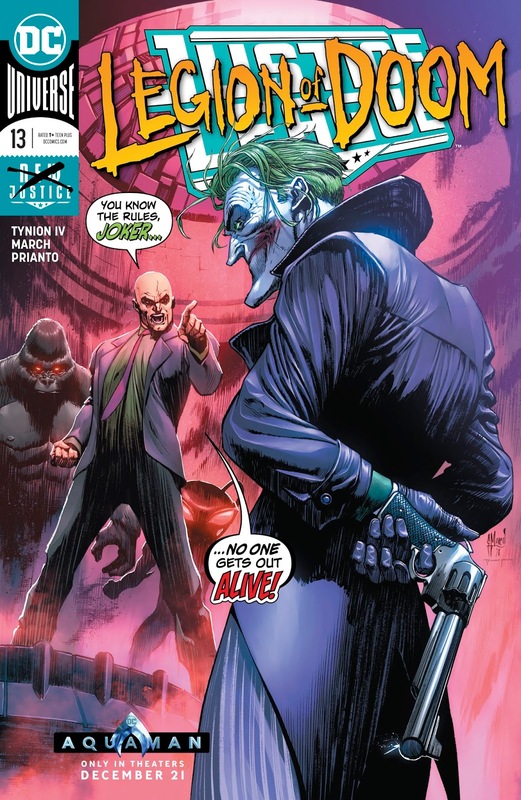 Joker Vs. Legion Of Doom Vs. Lex Luthor Over The Batman Who Laughs?! 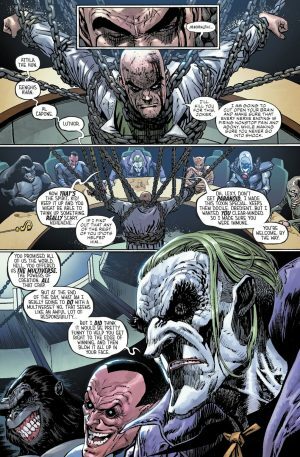 …over his imprisonment of the Batman Who Laughs; the Jokerized Batman from Dark Nights: Metal. 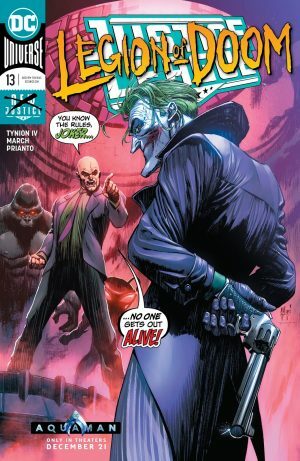 He’s too dangerous and the Joker tells Lex Luthor that he has to choose between him and the Batman Who Laughs! 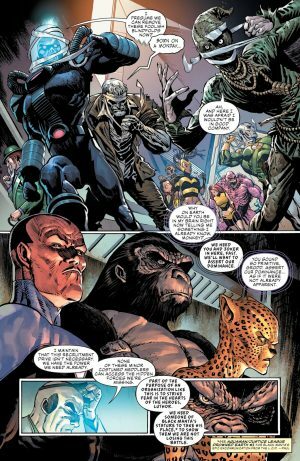 The Legion of Doom can’t have both. …the Joker gas! 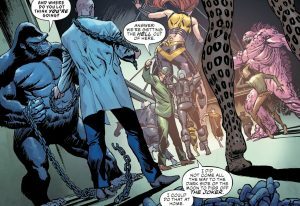 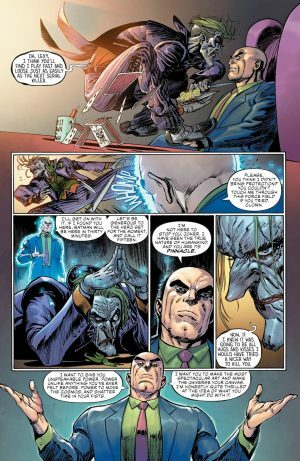 The Joker knows Lex Luthor betrayed him over the Batman Who Laughs so he takes it out on the Legion of Doom old and new members! 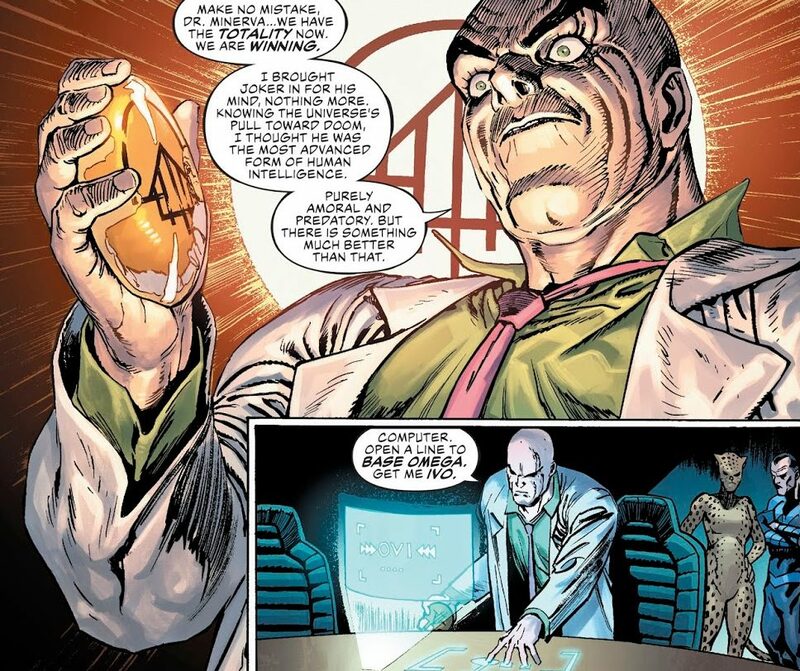 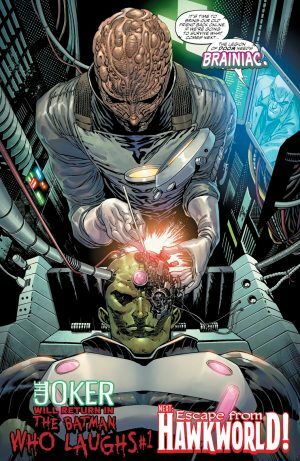 The jokerized Legion of Doom captures Lex Luthor for the Joker! When they’re no longer jokerized, the new member leave as they don’t want to make an enemy of the Joker. 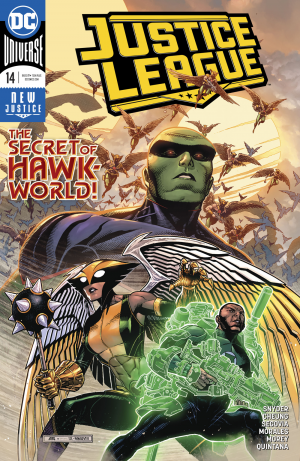 …kicking off a Hawkworld arc. 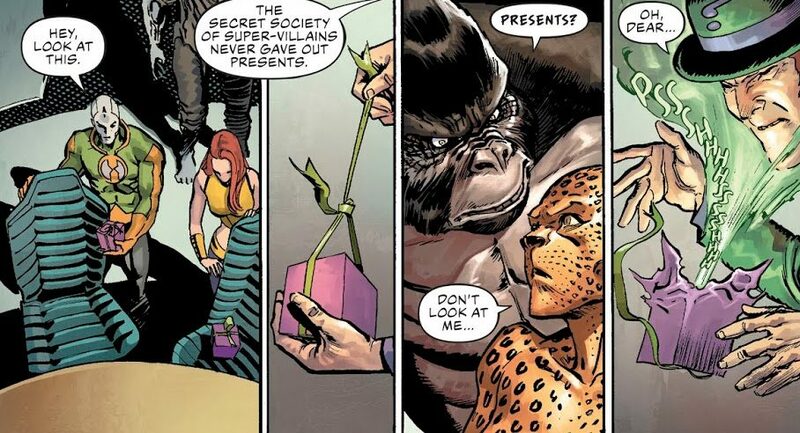 It is quite telling who strong on their own and iconic the core villains in DC are. 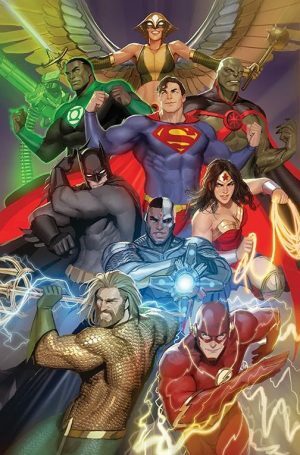 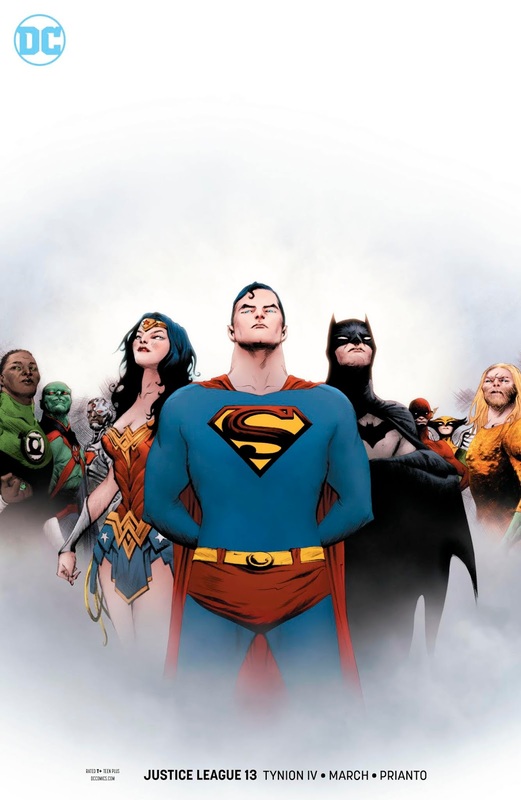 There are no Justice League members in the book and, while that is noticeable, they aren’t missed due to a compelling issue. 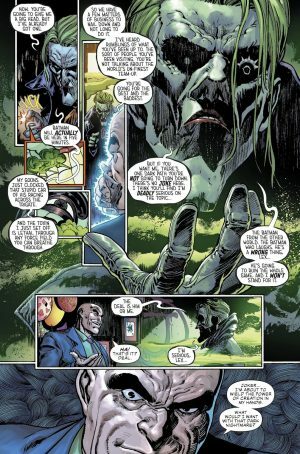 Gritty art fits the story as well. 8 out of 10.